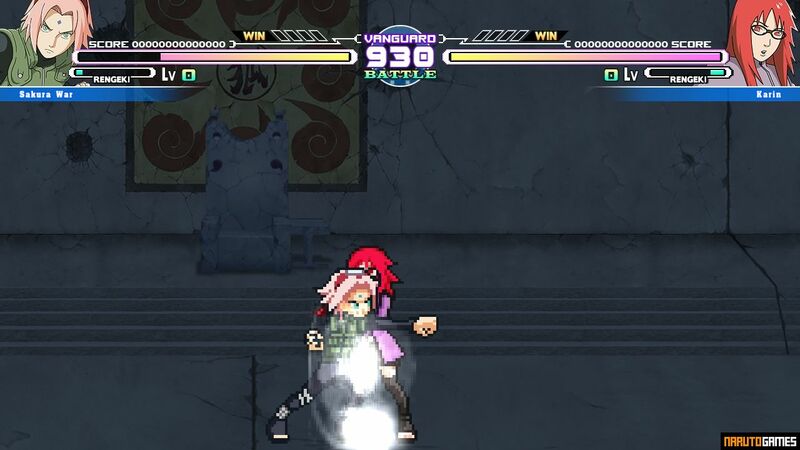 Naruto Battle CLIMAX Mugen is a Naruto fighting game made on MUGEN engine by TrafalgarLawzz - the creator of games such as Naruto Konoha Legends Mugen 5 and Jump Force Mugen. The game was built on one of the better-looking screenpack available these days. The menu, character select screen, and ui make a big impression and greatly affect the general reception of the game by the player. 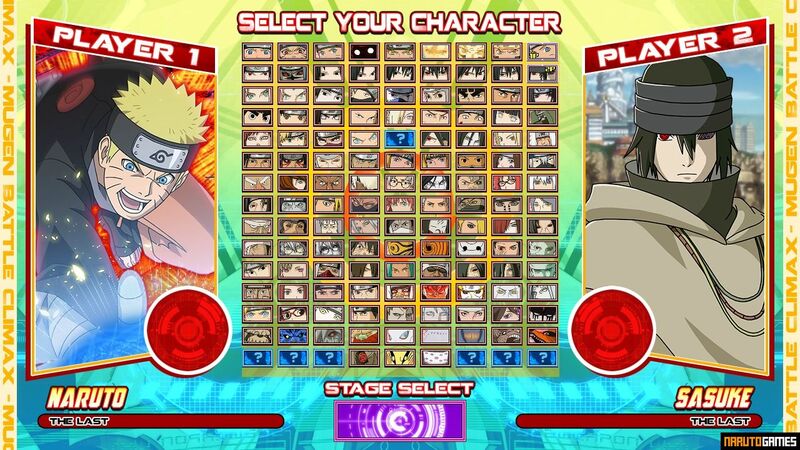 Naruto Battle CLIMAX Mugen includes over 100 playable characters and 21 different stages - just like Naruto Konoha Mugen Legends 5. 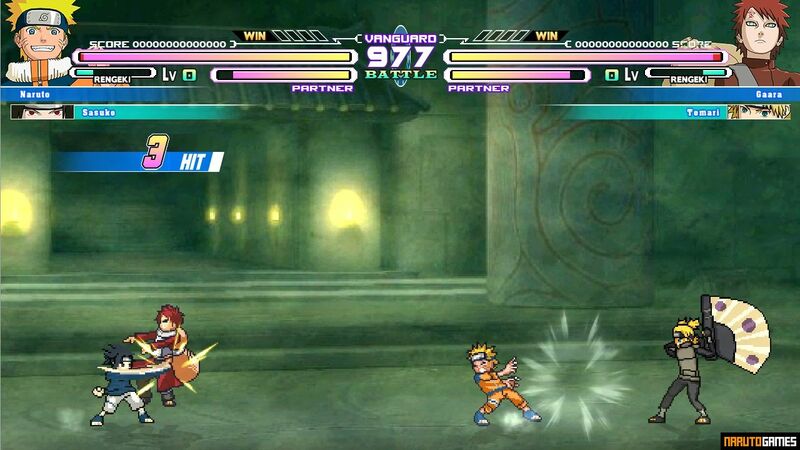 As in any Mugen game, the level of difficulty is very uneven. Some of the characters controlled by computer AI move chaotically and will not be a threat for you. Some of them, however, are deadly dangerous and if you drop your guard for even a moment, it may end as a quick knockout. 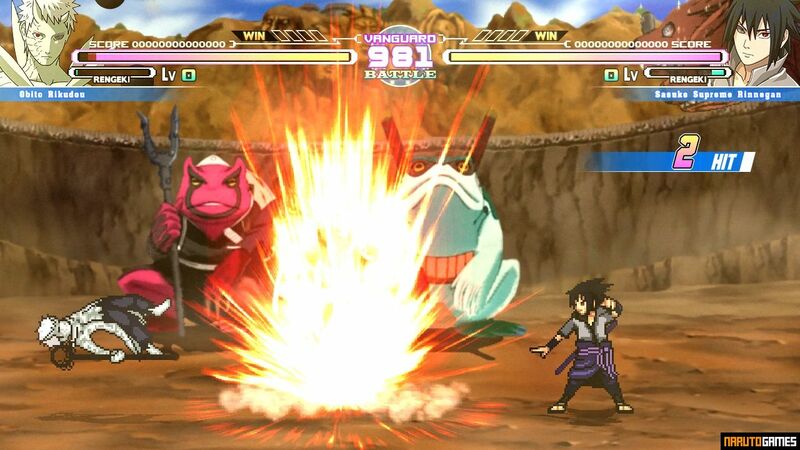 All available game modes will be familiar for all Mugen games lovers. You can fight in a classic tournament, take part in a team fights (2v2 at the same time), or check the limit of your skills in Survival mode. 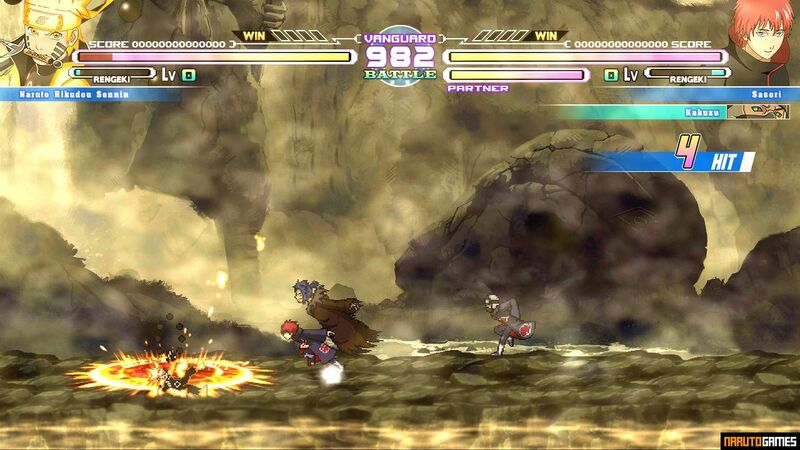 Of course, there is also a multiplayer mode. You and your friend can check which of you is a better ninja in a duel or create a team and fight against opponents controlled by computer AI together. 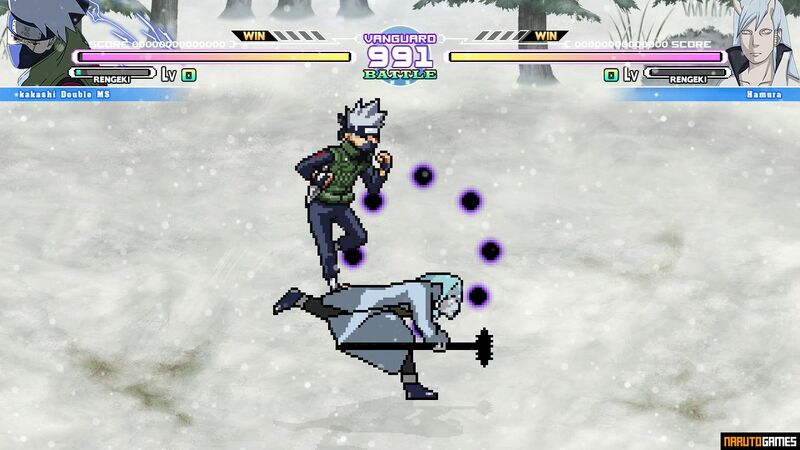 The whole game makes a very good impression, especially on stages with a dynamic camera that moves away if the characters are far away from each other. A lot of playable characters, great gameplay and pleasing screenpack will give you a lot of fun. The game is huge and on slower Internet connections it may take a while to download it. 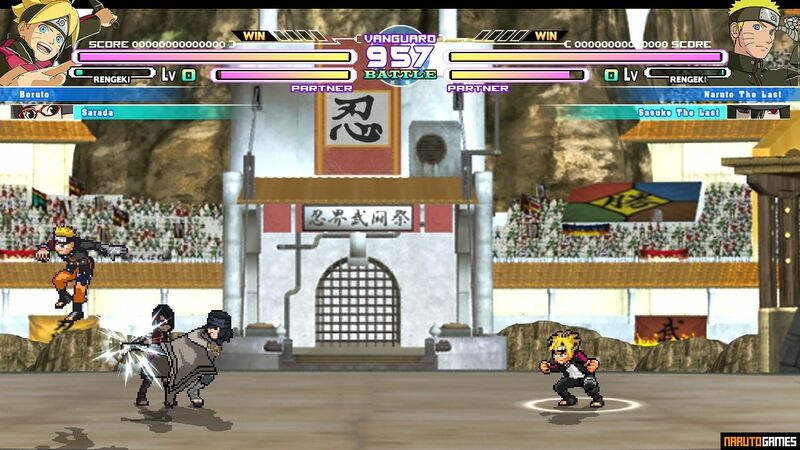 However, this is probably one of the best Naruto Mugen games at the moment, so it's worth the effort! 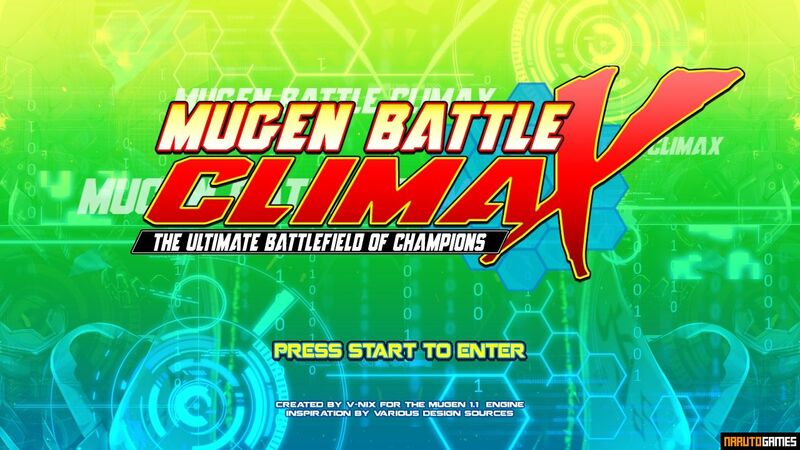 Run Naruto MUGEN Battle Climax 2018 in the main game folder.